Serving the Dallas/Fort Worth Metroplex for over 37 years! 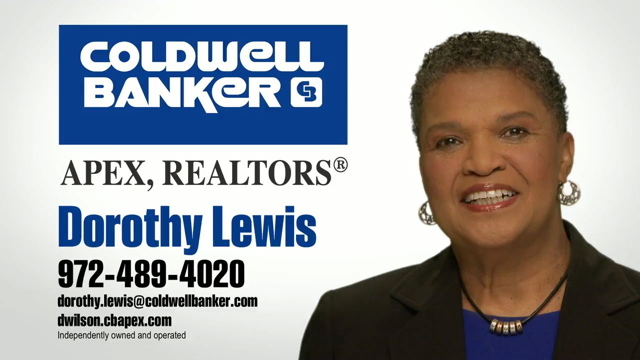 Coldwell Banker Apex is a full-service, diversified real estate company. We have been recognized as one of the highest producing real estate associates among major firms according to Real Trends Magazine. We are ranked in the Top Ten Coldwell Banker affiliates out of more than 2,600 Coldwell Banker offices throughout North America. Selling and buying a home used to mean a short contract with a few signatures. No more. The process of pricing a home right, marketing it to qualified buyers, ordering inspections, assistance with financing, negotiating the sale and completing the transaction is a highly complicated business. These are only a few of the reasons why people turn to Coldwell Banker Apex again and again. We excel at real estate because we have the knowledge, experience and ability to help bring success to the one transaction that counts most - yours! Our agents have an average of over 10-years experience in listing and selling real estate. Many benefits are offered to you as a result of this experience. First, experienced agents know the pitfalls that can occur in a real estate transaction and how to avoid them. This proficiency allows them to safely guide you through your transaction, from contract to closing. Second, the experience gained from establishing and working with a broad client base serves as an abundant resource in meeting the needs of new clients. Don't be fooled by discount brokers who think that a sign in the yard and ad in the paper will get your home sold in today's complex real estate market. Coldwell Banker Apex will show your home to more people than anyone else - period. It's a simple equation: More exposure optimizes your chances for a quicker sale which will put more money in your pocket in less time. We are a full service company that can assist with all your real estate needs. All real estate companies are not created equal. Only Coldwell Banker Apex has all the tools to meet your real estate needs before, during and after the sale. With a 100+ year legacy in serving home buyers and sellers, no one knows real estate like Coldwell Banker!